Two Little Kid Boys Eating Hot Dogs Outdoors. Siblings Enjoying Their Meal. Hotdog As Nhealthy Food For Children. Royalty Free Fotografie A Reklamní Fotografie. Image 65991393. 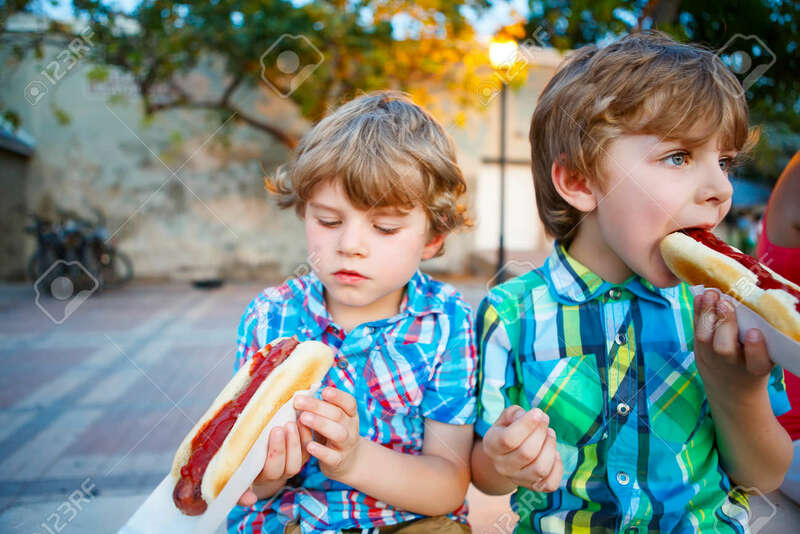 Reklamní fotografie - Two little kid boys eating hot dogs outdoors. Siblings enjoying their meal. Hotdog as nhealthy food for children. Two little kid boys eating hot dogs outdoors. Siblings enjoying their meal. Hotdog as nhealthy food for children.